It can be hard to maintain fitness goals when it gets to the cooler part of the year here in Hollywood, FL. Sure, it doesn’t get as cold as it gets up north, but it can still be a hassle to stay outside as it gets cooler. 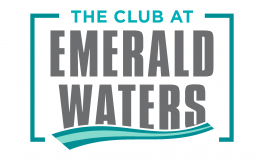 Luckily, your apartment at The Club at Emerald Waters is in close proximity to some spin studios! If you’ve been to a spin class before, you know how fun and good for you they can be. If you haven’t, then it’s the perfect time to start! Here, we’ll list some of the benefits of cycling classes to get you back into the spin of things. Cycling is one of the few exercises that allows you to work out however you need. If you want to burn some extra calories and get some more cardio in, lower the resistance and go for a distance ride. If you’re looking for something to build some extra muscle, try increasing the resistance. You can also do interval training that mixes in the best benefits of each kind of workout. Whatever level of experience you have or what you’re trying to achieve, there’s a good chance that a spin class will have an option for you. Spinning has become a worldwide phenomenon. When you get hooked on it right here at home, any time you travel there’s a very good chance you’ll be able to find indoor bikes in a gym you visit. You can also buy a bike if you want more of an at-home workout. Whether you’re here at home or across the world, you’ll be able to stick to your routine. You can set your own pace in so many different ways. You can literally set your pace by deciding how fast you want to go that day and how much resistance you want to work against. You can set your own pace by choosing how often you want to go for a spin. And you can either doing it with a group or by yourself, setting a goal collectively or to yourself for where you want to be after an extended amount of time. If you would rather work out by yourself, plenty of options can help you. If you want a group to work together as a team, spinning classes can help you work together with old and new friends. So if you’re feeling the urge to get spinning, try out a spinning class near you! Need a little more convincing? Check out this list from Spinning.com for even more benefits of one of the best exercises you can do.